King Cobra is one of the most dangerous snakes in the world. Only one bite of this snake is enough to kill a mature elephant. 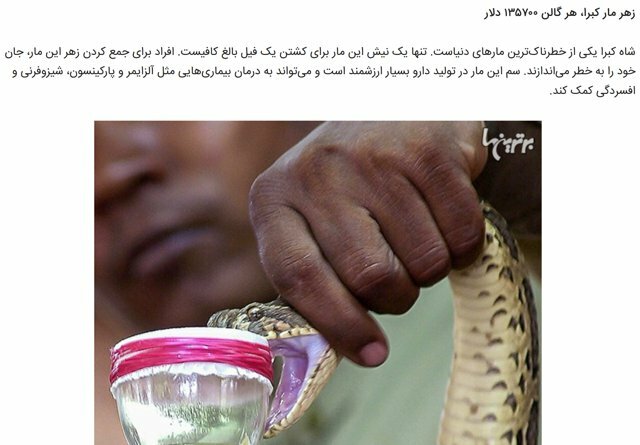 People risk their lives to collect the poison of this snake. The poison is very valuable in the production of medication and can help treat diseases like Alzheimer’s and Parkinson’s, schizophrenia and depression.